There are over 400 medical conditions that cause dwarfism. Click on the headings below for more information on the most common restricted growth conditions. 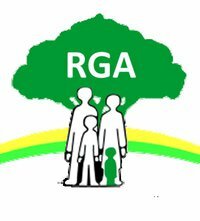 If your condition isn’t included in this list, please contact the RGA Office. If you’re a doctor or medical professional treating an individual with dwarfism and would like more information about the conditions mentioned here, please contact medical@restrictedgrowth.co.uk. Dr Will Christian is one of the RGA’s expert medical advisors. In this video, Dr Christian – a paediatric emergency consultant at University Hospital Bristol – talks about what restricted growth / dwarfism is and provides advice on how to access medical services. He also discusses how his own condition – Achondroplasia – affected him growing up. Achondroplasia is a rare genetic condition, but one of the most common types of dwarfism with disproportionate short stature. People with Achondroplasia have a normal intelligence and life expectancy. Most are born to average size parents. Many practical difficulties can be overcome with a little imagination. There is no reason why someone with Achondroplasia shouldn’t participate in most activities. We believe that people with dwarfism find out their own limits and these aren’t imposed upon them by society. Achondroplasia literally means ‘no cartilage growth’ but really refers to poor bone growth resulting in shortened limbs. The tissues around the limbs are not affected and continue to grow leading to bulky arms and legs. Growth charts designed specifically for children with Achondroplasia can be used to monitor growth. Babies with Achondroplasia may develop motor skills and mobility more slowly than normal because of the combination of a heavier head and shorter arms and legs, but ultimately development is within the expected normal range. Some medical complications associated with Achondroplasia are listed below. Note: most of these affect only a minority of people with the condition. Achondroplasia is due to a change in the gene that codes for Fibroblast Growth Factor Receptor 3. (FGFR3). In almost all cases the single base change is exactly the same. The estimated prevalence is 1 in 25,000. Average size parents of a child with Achondroplasia have very small chance of having another child with the condition. In adults with Achondroplasia the inheritance pattern is autosomal dominant. Ultrasound scans may detect disproportionately short limbs at around 25 weeks of pregnancy. For couples where one or both has the condition, a chorionic villus sampling test is available at 12 weeks of pregnancy. Disclaimer: The information on this website is to be used for informational and educational purposes only and is not to be used to replace personal consultation with a qualified health professional that is familiar with your individual medical needs. Always consult with a doctor, health-care provider, or therapist before making any medical decisions. Conradi-Hunermann syndrome describes at least two different conditions. These conditions are part of the group which together are called chondrodysplasia punctata. This describes an unusual pattern which can be seen in the X-rays of babies and young children where the ends of the bones appear ‘stippled’ or ‘punctate’. In Conradi-Hunermann syndrome this pattern is present and the bones of the arms and legs are short causing short stature (see entry, Restricted Growth). The bones of the face (see entry, Craniofacial Conditions) may also be involved. Some children with this condition have eye changes including cataracts. Babies may be born with a skin rash (see entry, Ichthyosis) and can later develop thickening of the skin. The hair may be sparse or absent in patches. It can be difficult to differentiate the various forms of this condition. There is an autosomal dominant and X-linked dominant form of Conradi-Hunermann syndrome. In addition there are autosomal recessive and X-linked recessive forms of chondrodysplasia punctata which can be sometimes be mistaken for Conradi-Hunermann syndrome. The genes which cause some of these conditions are known and can be tested for. Prenatal diagnosis may be possible if the exact cause of the condition is known. In other cases ultrasound scanning may be helpful. Diastrophic Dysplasia (DTD) is a rare, inherited skeletal dysplasia (a condition of abnormal bone growth or development) affecting both females and males equally. It was first described in 1960 by French doctors, Dr M. Lamy and Dr P. Maroteaux, as Le nanisme diastrophique. DTD is a disorder of restricted growth, spinal curvature and abnormalities of the fingers and toes. Intelligence is normal. The average height of adults is 118 cm (males: 86-127 cm; females 104-122 cm). Respiratory complications can cause an increase in infant mortality, but individuals who survive infancy have a normal life span. The incidence is thought to be 1 in 110,000 births and it is caused by mutations in the SLC26A2 (DTDST) gene on chromosome 5q31-q34. progressive Scoliosis (sideways curvature of the spine), lumbar lordosis (forward curvature of the lower spine) and cervical kyphosis (outward curvature of the upper spine). DTD is diagnosed by recognition of the clinical features of the disorder, radiographic (x-ray) findings and in some cases by molecular genetic testing of the SLC26A2 gene. DTD is not a curable condition and treatment will be symptomatic for specific features. It important to maintain joint positioning and mobility as much as possible using physiotherapy and surgical correction for club feet to allow walking. This is often extremely difficult and ideally should be performed by a surgeon with experience of other children with diastrophic dysplasia.This is true of any surgical intervention in children with diastrophic dysplasia. Monitoring of abnormalities of the bones of the limbs and particularly of the spine is important since surgical intervention may be necessary. Progressive abnormality of the bones of the spine in the neck is an important complication and should be looked for specifically. This may also require surgical treatment. Surgical intervention to release joint contracture is not usually recommended since these tend to recur. A range of support for families, based on the practical and psychological effects of being of short stature at school and in the wider community, is available. Families can obtain information about aids to ameliorate difficulties in access and operation of equipment from local and national statutory and support organisations. DTD is inherited in autosomal recessive manner. A range of testing is available. Where DTD is known in a family and the mutations in the SLC26A2 gene in the affected individual are known, chorionic villus sampling can be used at about 10-12 weeks or amniocentesis at about 15-18 weeks. Ultrasound examination may identify typical skeletal abnormalities. Hypochondroplasia is a rare inherited skeletal dysplasia (condition of abnormal bone growth or development) causing short stature due to short limbs. HCH affects both males and females. Where the only feature in an individual is short stature, medical intervention may not be sought. As a result, the incidence of HCH is uncertain. It is thought that its incidence could be 1:15,000 to 1:40,000 live births. About 70 per cent of people with HCH have an identifiable mutation in the FGFR3 gene on chromosome 4p16.3. The remaining 30 per cent will either have a so far unrecognised mutation in the FGFR3 gene or a mutation in other as yet unidentified genes. Learning problems (it has not yet been determined whether this is in fact a feature of HCH). It is not easy to diagnose HCH in very young children and may be even be missed in adults. Diagnosis is made by identifying the features known to appear in HCH together with radiological (x-ray) findings. DNA based testing can confirm the FGFR3 gene mutation but cannot be used to eliminate the diagnosis. HCH is not a curable condition and treatment will be symptomatic for specific features. Surgical limb lengthening can be considered but is a drawn out and painful process. Human growth hormone therapy has been given to some children with HCH but has shown mixed results. A range of support for families, based on perception of the effect of being of short stature at school and in the wider community, is available. Families can obtain information about aids to ameliorate difficulties in access and operation of equipment from local and national statutory and support organisations. Hypochondroplasia is an autosomal dominant condition. Chorionic Villus sampling or amniocentesis is available if a parent has HCH and a mutation in the FGFR3 gene has been identified. Where the mutation has not been identified ultrasound scanning is the only method of prenatal testing. Families where HCH has been diagnosed should seek genetic counselling. Pseudoachondroplasia is another form of short-limb dwarfism / restricted growth. Often, the diagnosis is not made at birth, but when the child is 2-3 years of age. At first, growth is normal. At 2-3 years of age, the diagnosis is suspected because of a delay in walking or an unusual, waddling gait is noted. As the growth rate slows, the trunk appears long with lumbar lordosis and rhizomelic shortening of the limbs. Final adult height is 80-130cm. A height curve is available for individuals with pseudoachondroplasia. It may be helpful for a child’s paediatrician to have a copy of this height chart. Individuals with pseudoachondroplasia have normal head size and facial features. A characteristic waddling gait is seen due to hip involvement. Legs are malaligned with a variety of knee deformities noted, including bow-legs (genu varum), knock-knees (genu valgum), and windswept deformities (bow-leg on one side and knock-knee on the other side). Joint hypermobility is seen, especially at the wrists and fingers; however, elbow extension is often limited. Hands and feet are short. Osteoarthritis occurs in early adulthood, especially in the weight-bearing joints. The most important complications of pseudoachondroplasia are orthopedic in nature. Correction of the hip and knees are done in most individuals. Pseudoachondroplasia is inherited in an autosomal dominant manner. This means that a person with pseudoachondroplasia and their average-sized partner have a 50% or 1 in 2 chance of having children with pseudoachondroplasia. Like many other autosomal dominant conditions, children with pseudoachondroplasia are often born to average-sized parents. In these cases, pseudoachondroplasia is due to a new mutation or genetic change. The gene for pseudoachondroplasia has been discovered. It is called cartilage oligomeric protein or COMP for short. Spondylo-epiphyseal dysplasia (SED) is a heterogeneous disorder involving vertebrae and epiphysis, with sparing of the other components of skeleton. It results in stunting of growth and premature degenerative arthropathy due to incongruity of joint surfaces. The underlying defect lies in type II collagen. SED tarda – where the main abnormality is in the spine, which becomes shortened and stiff. There is often mild curvature of spine and hands may reach down to knees.